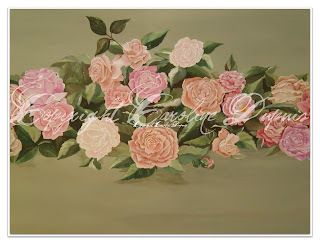 I finished my rose painting! The background is truly shabby chic. It is a light gray sage. 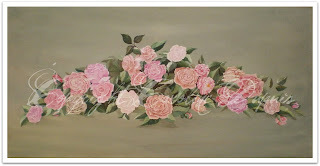 And the roses are each pink with different accents; in some I used a bright pink, or a hot pink, red, and terra cotta. So each rose despite having the exact same color is totally different from another. But the continuity of pink is marvelously harmonious. Above and below is the painting before I added the darker middle and extra leaves. 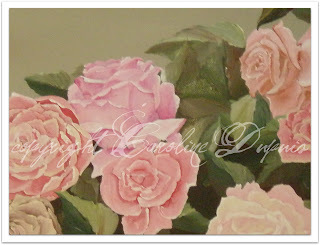 This is my favorite rose on this painting. That looks great!! alot of work there! I will not acquiesce in on it. I over nice post. Specially the title attracted me to be familiar with the intact story. 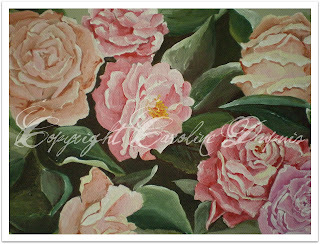 What a awesome FabUlOus Roses painting! Just BeaUtIfUl! 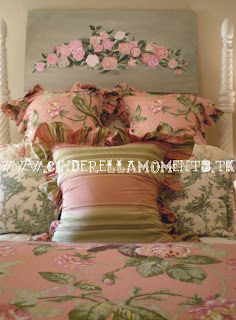 wonderful Bedroom also, Love the colors! SWEET DREAMS!